Fish on! Get ready for an explosion when you tie into one these sockeyes! 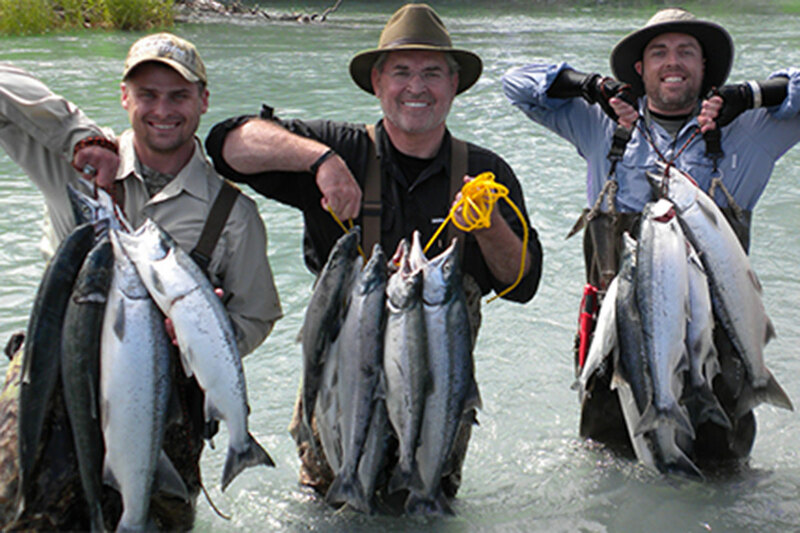 A hooked sockeye makes sizzling runs with lots of jumps. They try to shake the hook with powerful thrashing, and that makes for lots of broken leaders and lost fish. In fact, only one in three hooked sockeye are actually brought to boat. 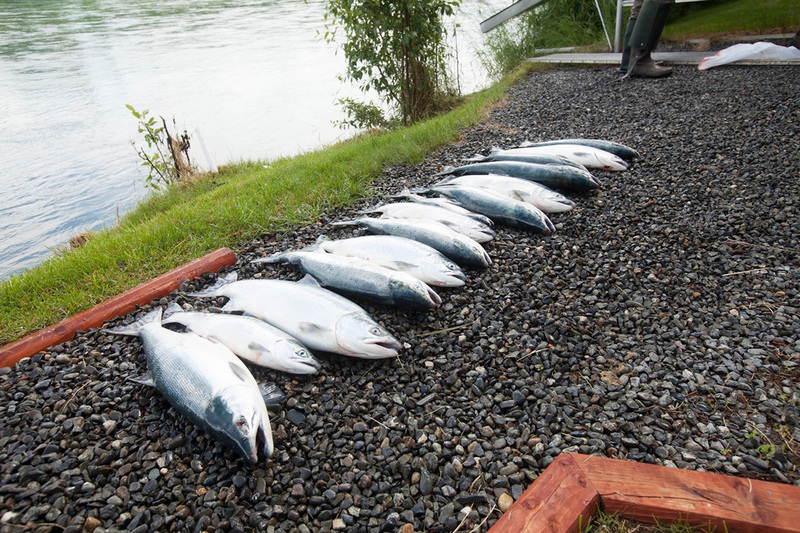 There are annual sockeye runs on both the Kasilof and Kenai rivers. The action starts in the Kasilof River first, about June 15th. Since this is a very shallow river, we use 20′ drift boats outfitted with four jump seats. There’s no motors in this water, so its up to your guide to provide the propulsion. The Kenai River run starts later, in July. 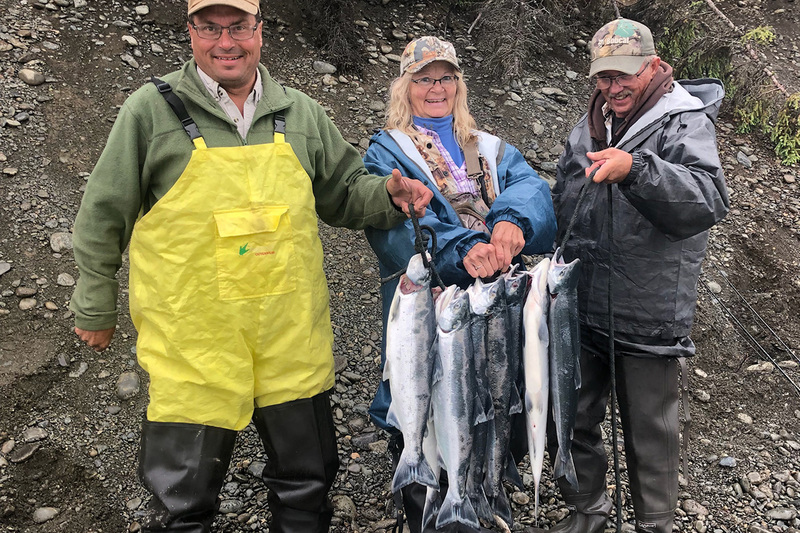 Since the Kenai is deeper than the Kasilof, you’ll fish from large, stable river boats powered by clean-burning 4-stroke engines built by Yamaha and Mercury. 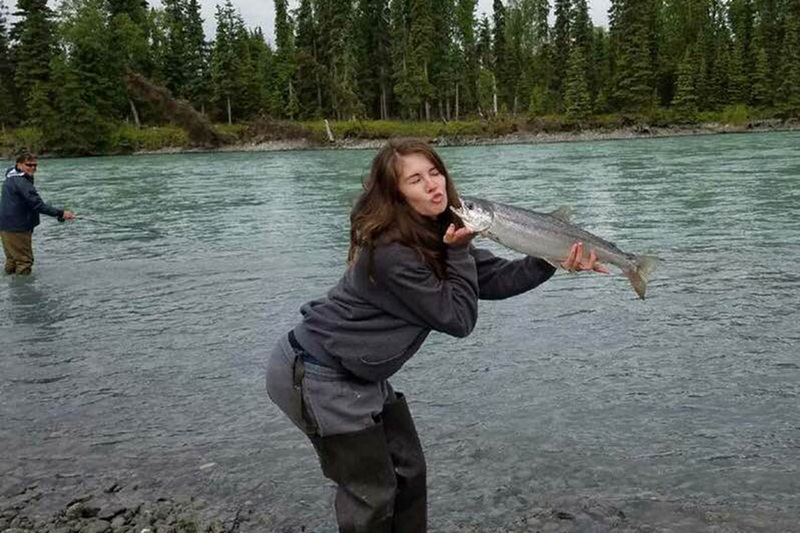 Of all the fish in Alaska waters, the sockeye is probably the best eating. In fact, it’s often said that a well-cooked sockeye fillet is an incredible treat. Be prepared to enjoy a shore-lunch that you’ll never forget.